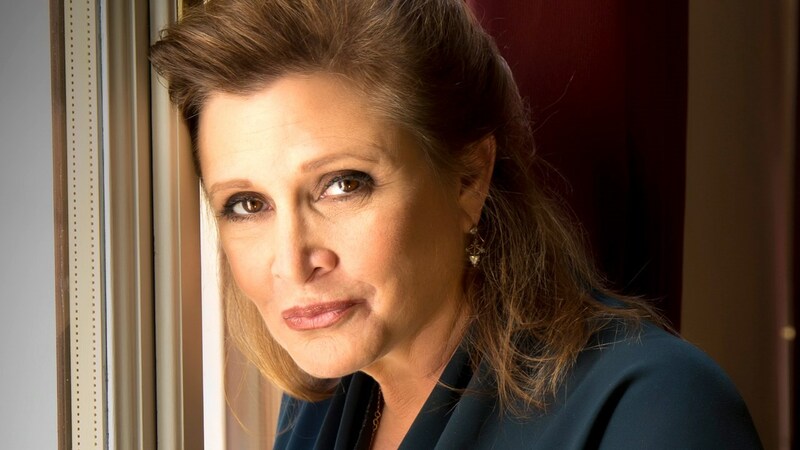 LOS ANGELES (AP) – Carrie Fisher, the daughter of Hollywood royalty who played Princess Leia in the original “Star Wars” and turned her experiences with addiction and mental illness into bestselling books, a hit film and popular stage performances, died Tuesday after suffering a medical emergency aboard a flight on Friday. She was 60. Her daughter, Billie Lourd, released a statement through her spokesman announcing Fisher’s death. Fisher, the daughter of actress Debbie Reynolds and crooner Eddie Fisher, had been hospitalized since Friday, when paramedics responded to a patient in distress at Los Angeles International Airport. Fisher’s family said she was in intensive care Friday evening. “No words #Devastated,” actor Mark Hamill posted on Twitter Tuesday. Fisher long battled drug addiction and mental illness. She said she smoked pot at age 13, used LSD by 21 and was first diagnosed as bipolar at age 24. She was treated with electroconvulsive therapy and medication. In 1987, her thinly veiled autobiography “Postcards From the Edge” became a best seller. It was adapted into a 1990 film starring Shirley MacLaine and Meryl Streep. Her one-woman show, “Wishful Drinking,” which she’s performed on and off across the country since 2006, was turned into a book, made its way to Broadway in 2009 and was captured for HBO in 2010. Little was off-limits in the show. She discussed the scandal that engulfed her superstar parents (Fisher ran off with Elizabeth Taylor); her brief marriage to singer Paul Simon; the time the father of her daughter left her for a man; and the day she woke up next to the dead body of a platonic friend who had overdosed in her bed. “Hail Hail! A genius has vacated this realm-RIP Carrie Fisher,” Roseanne Barr posted on the site. Besides her mother and daughter, Fisher is survived by her brother, Todd Fisher. In a 2009 interview with The Associated Press, Fisher wasn’t coy about revealing details about her unusual life, whether it was about drug addiction, mental illness or her failed relationships. She hoped to destigmatize mental health problems.